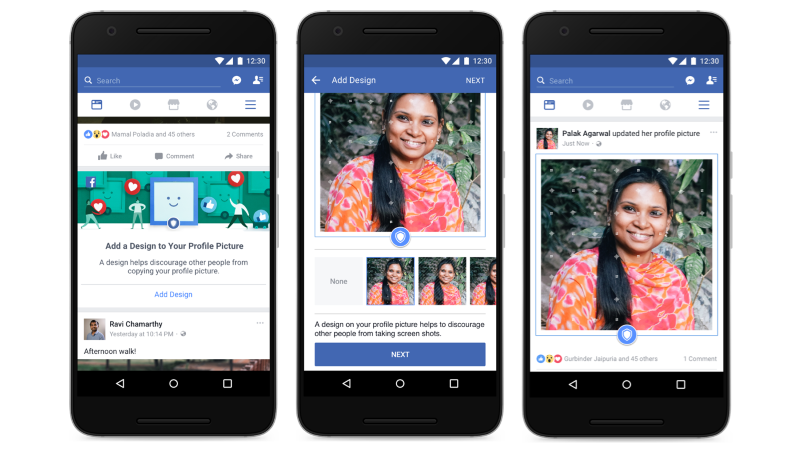 Facebook has announced that it is piloting new tools that will give people in India more control over who can download and share their profile pictures. “In India, we’ve heard that people want more control over their profile pictures, and we’ve been working over the past year to understand how we can help,” wrote Aarati Soman, Product Manager at Facebook on Wednesday. In addition, the company is exploring ways people could more easily add designs to profile pictures, which Facebook research has shown helpful in deterring misuse. Based on what it learns from the experience in India, the social media giant hopes to expand the feature to other countries soon. “In our research with people and safety organisations in India, we have heard that some women choose not to share profile pictures that include their faces anywhere on the internet because they are concerned about what may happen to their photos,” she added. These tools, developed in partnership with Indian safety organisations like Centre for Social Research, Learning Links Foundation, Breakthrough and Youth Ki Awaaz are designed to give people more control over their experience and help keep them safe online. From now on, people in India would start seeing a step-by-step guide to add an optional profile picture guard. “Other people will no longer be able to download, share or send your profile picture in a message on Facebook. People you are not friends with on Facebook won’t be able to tag anyone, including themselves, in your profile picture,” Soman clarified. Where possible, Facebook would prevent others from taking a screenshot of a profile picture on Facebook – the feature currently available only on Android devices. The company would also display a blue border and shield around profile picture as a visual cue of protection deterring misuse. Facebook also partnered with Jessica Singh, an illustrator who took inspiration from traditional Indian textile designs such as bandhni and kantha, to create designs for people to add to their profile picture.